Clinton Ellis is a fourth year student commencing his final year of studies in Hobart next year. He currently intends to pursue a career in critical care and retrieval medicine. In AMSJ Vol. 3, Issue 2, Michael Li provided an insightful and personal dissertation on the futility of medical treatments and the potential of students to relate to and support patients and their families. Li’s article captures one of the most confronting situations faced by all health professionals, in acknowledging the futility of aiming for a cure, and instead allowing the patient to succumb to their illness. In these situations, clinicians may experience thoughts of frustration, feelings of being powerless, guilt, a sense of professional or personal failure, and an awakened sense of human fragility and mortality. However, the challenges posed by end-of-life decision making across the divergent fields of medicine are not identical. Emergency medicine has long been held as a field of medicine centred upon recognising, treating and stabilising patients with acute illness before they receive definitive care. This is now changing and emergency physicians are experiencing an increasing responsibility for patients with acute, sometimes terminal, exacerbations of chronic, incurable disease. [3,4] Awareness of the values pertinent to end-of-life care, specifically within the emergency department setting, is critical to maintaining patient dignity and preventing unnecessay distress to the patient and their families. Strategies to increase the ability and confidence of emergency departments to manage patients nearing the end of life include increasing training and protocols around end-of-life care, improving the utilisation of palliative care services and improving access to palliative management information for novel situations. [3,9] Tasmania has recently instituted the Healthy Dying Initiative, a state-wide policy that includes ‘Goals of Care’ documentation. A patient’s Goals of Care are documented on admission and range from ‘for all active treatment measures’ to ‘terminal’, with a range of medical and surgical management options in between. They aid after-hours patient management, clearly outlining treatment expectations and goals, and provide a link between hospitals and the community. As always, clear communication between medical practitioners, patients, families and allied health professionals is an essential component of providing good medical care. In some situations, treating with curative intent may be futile, even harmful, but emergency doctors still have a major role to play in optimising patients’ overall quality of life and relieving suffering. Worthwhile goals that may outweigh the simple prolongation of life include reducing pain or preserving a patient’s independence, dignity or good neurological functioning. As Australian medical students, we are always progressing towards the moment when we take the lead responsibility for our patients. Considering how we can best benefit patients and their families when a cure is no longer an option and death appears imminent is a vital, if challenging, aspect of medical training. The emergency department is a setting we will all encounter during some stage of our training. 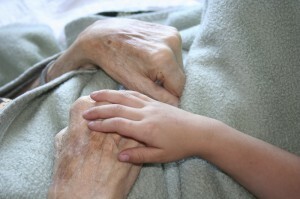 While there may be unique challenges to achieving optimal end-of-life care in the emergency environment, awareness of these challenges and of the continuing importance of symptom relief across all domains of medicine will aid our practice as we endeavour to provide the best possible care and achieve the best possible outcome for each and every patient. Li, M. Dealing with futile treatment: A medical student’s perspective. AMSJ. 2012; 3(2): 8-60. Meier, D, Back, A, Morrison, R. The inner life of physicians and care of the seriously ill. JAMA. 2001; 286(23):3007-14. Rosenwax, L, McNamara, B, Murray, K, McCabe, R, Aoun, S &Currow, D. Hospital and emergency department use in the last year of life: a baseline for future modifications to end-of-life care. MJA. 2011; 194(11): 570-73. O’Connor, A, Winch, S, Lukin, W & Parker, M. Emergency medicine and futile care: Taking the road less travelled. Emerg Med Australs. 2011; 23: 640-43. Indraratna, P &Lucewicz, A. In and out in four hours: The effects of the four-hour emergency department target on patients, hospitals and junior doctors. AMSJ. 2011; 2(2): 9-10. Marco, CA. Ethical issues of resuscitation: an American perspective. Postgrad Med Journ. 2005; 81(959):608-12. Grudzen, C, Stone, S & Morrison, R. The palliative care model for emergency department patients with advanced illness. J Palliat Care Med. 2011; 14(8): 945-50. Department of Health and Human Services. Goals of care plan. http://www.dhhs.tas.gov.au/palliativecare/health_professionals/goals_of_care (accessed 8 March 2013).